OMG where do I even begin! 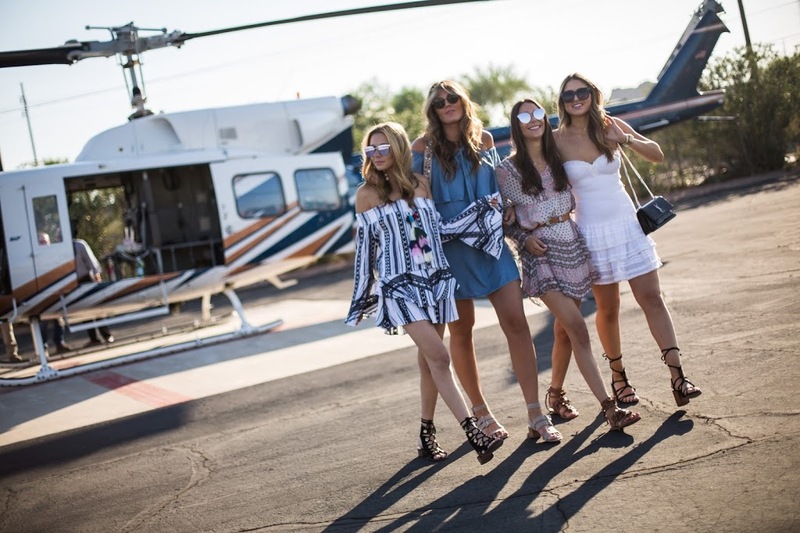 At the beginning of the summer, I traveled to Arizona with my blogger babes and experienced the most epic trip. I feel so fortunate to be able to travel to such inspirational and truly one of a kind places. We really got to learn the history behind Phoenix and explore the scenic mountains and desert that make up the beautiful state! On the first day we went to the David Wright House to celebrate Frank Lloyd Wright 150th Birthday. If you’re not familiar with Frank Lloyd Wright (don’t worry I’m totally not judging you) he was an incredible architect, interior designer, educator and truly a legend! 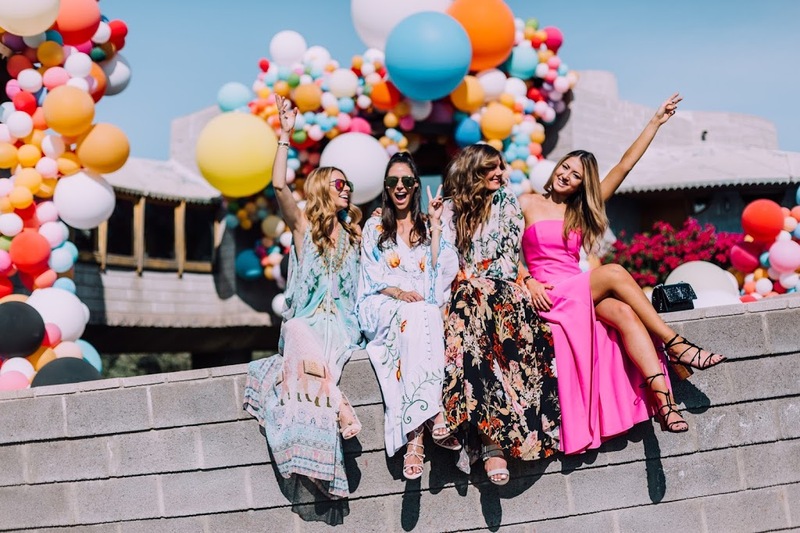 They created a gorgeous balloon installation in his honor – yes envision the stunning decor that you see on pinterest… jaw to the floor type of thing! 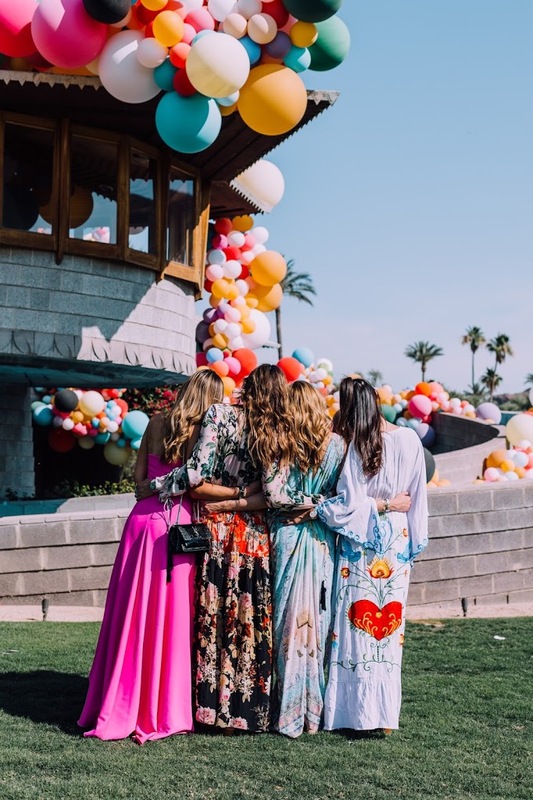 We shot pics early in the morning before it was open to the public – the backdrop was serious GOALS!! The next day we experienced something I’ve always dreamed of! We had an early wake up call in order to beat the heat and took a helicopter tour of the Valley over the lakes and the cacti. We learned how they kept the grounds hydrated and healthy in such extreme dry temps! Major props for making this crazy desert livable! In the afternoon, we went back to the hotel and explored the grounds and had a pool day which ended with massages… basically the perfect day! We stayed at the Royal Palm Hotel which mirrored a luxurious hotel in Spain. It was absolutely flawless and captured the amazing architecture of Phoenix. We each had our own bungalows filled with endless champagne and lots of goodies… yep they definitely spoiled us! And the food at the restaurant TCooks. was beyond…! It was so delicious that we had 2 dinners and 2 lunches there and we were only there for 4 days HAHA! Our last full day in Phoenix, we had brunch at Olive and Ivy along the Canal in Old Town Scottsdale and we were greeted by a man named “Minister Of Sunshine” . Yes his personality mirrored his name exactly! 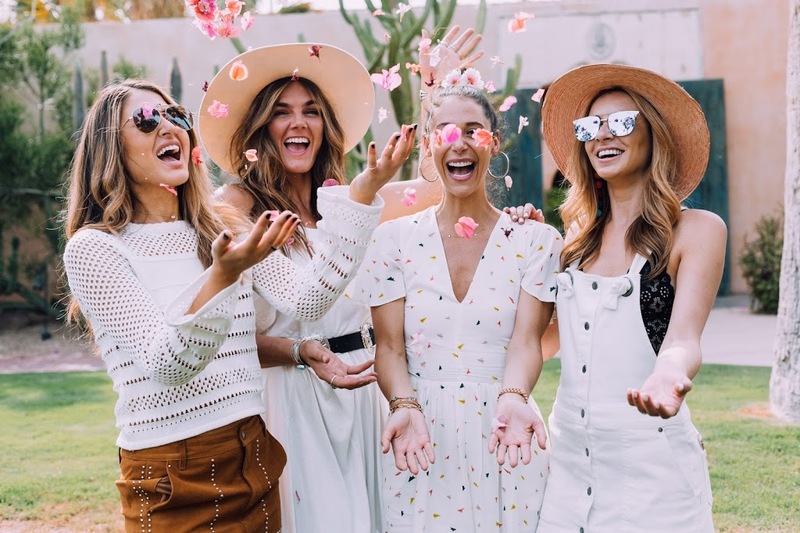 We discussed all things blogging and how this industry is ever-changing and growing and shared all of our exciting career updates. He was very intrigued and inspired by all our hard work! The afternoon was probably one of my absolute favs! We toured Taliesin West in a jeep and explored the private shelters in the Sonoran Desert where the Taliesin graduates designed each unique structure. The crazy part was, students lived in these “shelters” for a few months in the winter as part of their college program. Think about it, these shelters had… no bathrooms or showers (communal ones at the front entrance), no wifi, no tvs… I could go on but you get the idea. Seems almost unlivable but the students made it work! We took the most insane shots hanging from the architecture as the cacti filled the backdrop. BTW it was also 110 degrees…. major desert moment! It was definitely a once in a lifetime experience. Before we headed to the airport we had two more final stops. First included food… of course! We had an amazing “Thank You” brunch at the offices of the Southwest Cultural Tour group. We completed our trip with a delicious homemade brunch and a little more history of Phoenix. Our last stop was at the Heard Museum, where they closed down the museum to give us a private tour of the Frida Kahlo exhibit. She was a true fashionista who rocked flowers in her hair and bold one of a kind jewels… a true vision! This was definitely a trip for the books! If you haven’t had a chance to visit Phoenix yet I would definitely push it to the top of your bucket list!